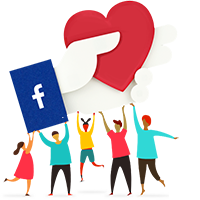 Feel free to ask Amith P Kumar Kumar for a new update on this Fundraiser. The Kakkayur Pond was completely drained out by the 21st of February. Two 3 hp motors and one 35hp motor was employed for continuous 5 days to drain it off. The water was diverted into the nearby paddy fields and ponds. The fish was auctioned off. By the evening of 21st, the pond was completely empty - with the rock outcroppings fully visible. The amount of damage to the sidewalls of the pond was clearly visible, after draining. The tough work of removing the enormous amount of muck (cheru) in the pond begins now. The himalayan task of cleaning up the pond has only begun. Things are going in the right direction with enormous public support. Fund continues to be a challenge - requesting all support! The draining of the pond was in progress and almost 75% is drained off as of Feb 20. Parallely, An approach road to the pond was made. It is a 250m long road through the forest, that will be used for the movement of heavy vehicles and JCB. An alternative pond was cleared and made fit for use. Committee reviewed progress of activities and financials. I hail from the village of Kakkayur. I'm a volunteer of the Kakkayur pond-restoration committee working towards conserving a threatened waterbody at Kakkayur. This is a dream project for several villagers who depend on the pond for their daily chores. Kakkayur is a tiny village situated around 13 KM away from Palakkad town in Kerala State, India, with a poplation of 8500 people. 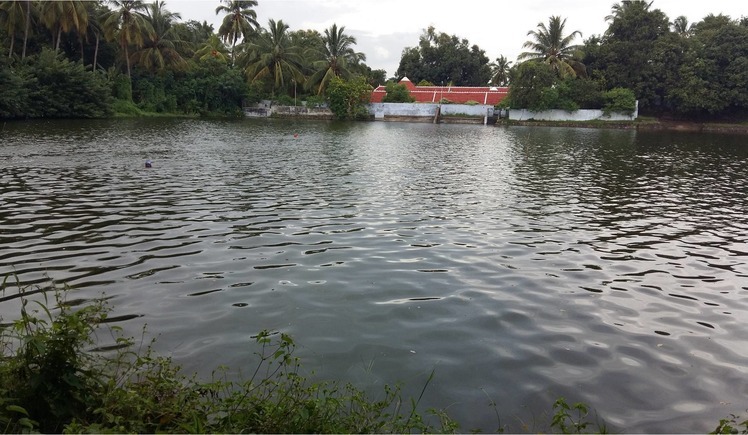 The Kakkayur Temple pond is a major waterbody that serves for the bathing and washing needs of a majority of people in this village. The huge tank is also a training place for the local swimming team, some of whom are national level champions. More than 500 people use the tank daily. Today, the Kakkayur pond is dying a slow death because of accumulated muck and growth of algae and weeds. The storage capacity has largely decreased and the water turns murky in summer. The oxygen level in the water has also been significantly going down which would result in the eventual death of the living organisms in the Kulam. It has become essential to conserve the pond and preserve the water body for the generations to come. Local residents have joined hands for the conservation of the water body and have come up with a master plan to clean, maintain and conserve the pond. The plan includes the draining of water, removal of muck and sediments, building of side walls and reconstruction of bathing ghats. This requires funds to the tune of nearly 40Lakhs. Though residents have raised half the amount, it is insuffiecient to execute the project to completion. The government apathy to the cause has forced us to approach other generous memebers of the society. This campaign will help in covering the huge deficit that the volunteers face and would help in realising the dreams of a village. Objectives of the project: Clean the waterbody, Restore to original depth, reconstruct sidewalls. Key Benefits: Preservation of the ecosystem, water conservation, benefits 1000 residents. Even your smallest contribution would help in injecting life into the waterbody and conserve it for future generations. Every drop counts. You may call me (Amith) at +91-9626661640 for any queries. Thanks in advance!! -Amith PK, On behalf of the Pond Restoration Committee, Kakkayur. Your message will be directly emailed to Amith P Kumar Kumar and you will receive his/her response on the email address entered below.